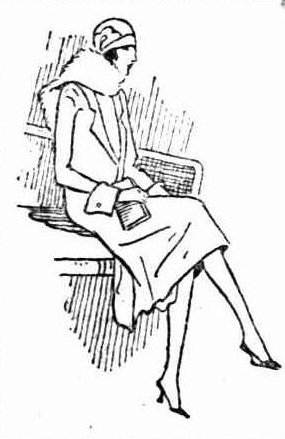 Seriously, somebody needs to teach the modern girl how to sit properly. In the 1920s, the skirt did not so much creep up from the floor, but jumped from ankle to knee in one amazing fashion moment. The consequence was that all the old rules on how to arrange your legs were useless in an age where sitting incorrectly could reveal a great deal more than stocking tops. So, to celebrate International Women’s Day, Dodgy Perth presents advice to the international women of the world, taken from the Sunday Times in 1927. See the young lady above? That’s good sitting. See the legs below? That’s bad sitting. Now you know. So we expect better of you from now on.